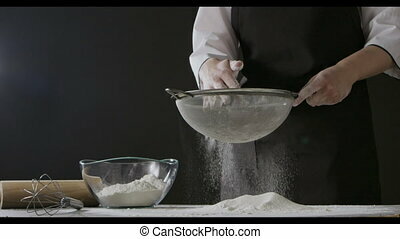 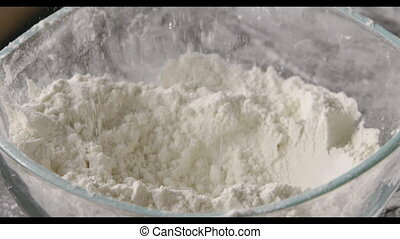 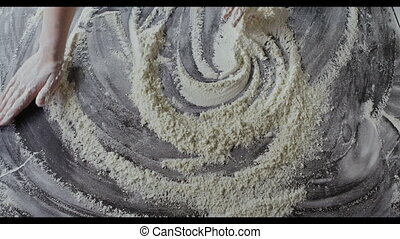 Professional baker cook claps hands and powder flour on a black background. 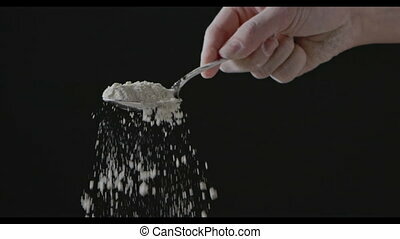 Slow motion, Full HD video, 240fps, 1080p. 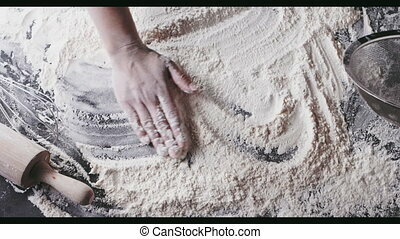 Step by step homemade dough preparation.